TOMI Service Network (TSN) service providers offer innovative solutions for surface and complete room disinfection with SteraMist powered by Binary Ionization Technology (BIT). Ideal for residential and commercial settings, SteraMist BIT kills pathogenic bacteria, controls odor causing bacteria, and inactivates viruses. 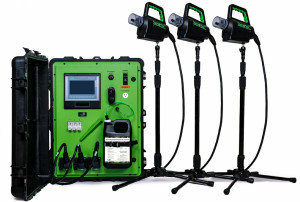 It’s also ideal for use in mold and mildew control and remediation. Regularly schedule your TSN service for disinfection/decontamination with SteraMist BIT for preventative maintenance, after renovations and repairs, and disaster clean-ups. Fully portable, hand-held, point and spray disinfection/decontamination system with an application of five seconds per square foot. The SteraMist Surface disinfects/decontaminates hard non-porous high touch surfaces. A transportable remotely controlled system, the SteraMist Environment System provides complete room disinfection/decontamination using multiple treatment applicators per unit. Makes whole room disinfecting/decontaminating faster and easier. wipes, sponges, rags and cloths. Employ TSN service providers to disinfect hard to reach, hard non-porous surfaces, including floors, ceilings, walls and equipment. 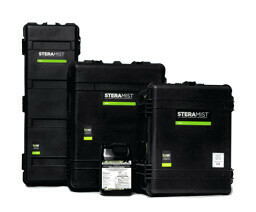 Additionally, SteraMist BIT is scalable for multiple areas, saving time and labor. 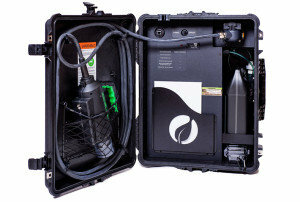 TSN primary service providers have a complete toolbox complete with SteraMist to rapidly deploy effective and efficient cleaning and disinfection after flooding, hazardous spills and mishaps, fires and more. Keep up to date with TOMI's eNews! for use as a hospital-healthcare disinfectant and general use disinfectant (EPA registration # 90150-2). Registered in all 50 U.S. States, Canada, and International.